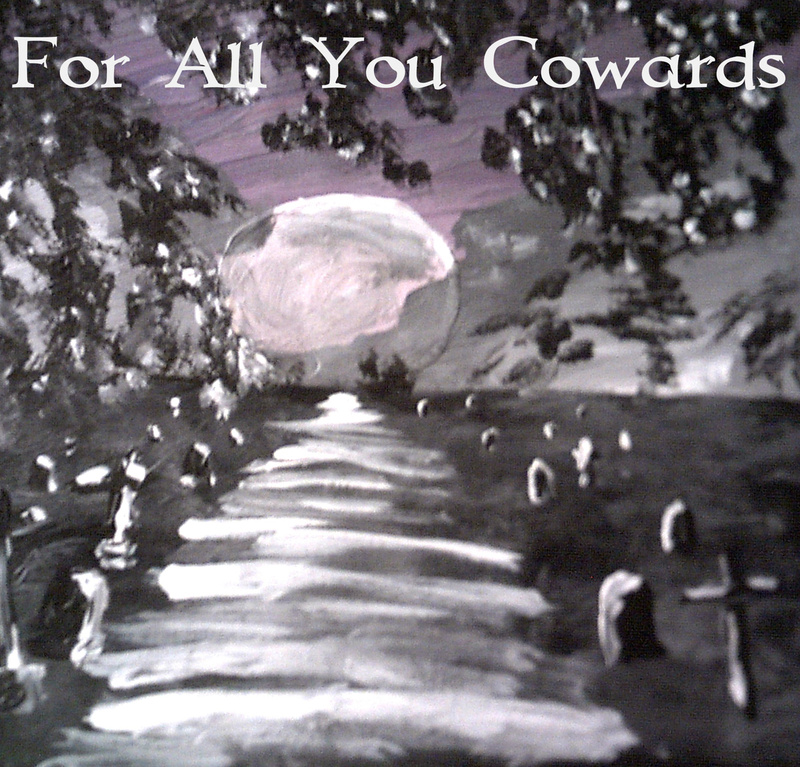 Irish man of many talents Ross Mc Eneff has recently released an album titled “For all you Cowards” featuring variety of influences and classic sounds, this is a cool release from the artist. Recorded a while back, this still has a fresh sound and plenty of guts. The album opens with the grooving sounds of “Infatuation”, with a sweet main riff and a really cool bassline. The vocals are very reminiscent of Ozzy Osbourne but with better pitch control. This is a good start to the album, with lots of different moments of tension and excitement, daring to be a bit different to the norm. “Ego’s Taking Over” is a bit more of a straight up rocking tune, with more very Ozzy-esque mixed with cool backing vocals. The main riff is very old school in sound, and the track is performed well overall, and a great lyrical theme. “Forbidden” takes things in a different direction, with acoustic guitars starting things off. Ross goes for a different vocal approach here that really is a stark contrast, but works really well, nice and emotive. The song picks up in pace and heaviness later on, but with plenty of diversity and change, further solidifying the style of the album. “Spineless Excuse” has a kind of punk sound to it, with a short running time too. A pretty straight up song but nonetheless a good one, lots of layered vocals and lots going on despite the short length, and a great bluesy solo tops it all off here. “Deceit” follows this one up with a heavier sound with chugging guitars and a cool chorus too. “Serenity” breaks up the album with some nice clean guitar sounds and synths; a short instrumental track that serves its purpose well and shows off Ross’ skills a little bit. “Devil’s Mistress” moves things on with some heavier riffs that give way to more mellow sections and another cool chorus. The title Track “For All You Cowards” closes the album, and is also one of the highlights of the album, with a great main riff and a cool sounding chorus. There’s lots of heaviness here and it serves as a great conclusion to the album! The production is pretty good for a debut album, the guitars are plenty heavy, the bass sounds great and the vocals are nice and clear. The drums are pretty good too. The songwriting is the main thing here though, with lots of nice short songs that make their mark pretty quickly and to good effect. This is a good album from Ross Mc Eneff and it would be awesome to see a follow-up to this soon! Switchblade, an old-school Heavy Metal band from Israel, has been around since 2005. Battling a tough Metal scene, the band has just released their debut album, Heavy Weapons, and is ready to take on the scene with this release behind them. The title track ‘Heavy Weapons’ opens up with a riff filled with classic style. A great melodic lead vocal rises up over the track, with plenty of power backing up those high notes, and giving us a great old-school chorus, with a blistering solo topping off a great initial statement on the album. ‘Euphoria’ brings a bit more of a modern grooving riff to the mix, with some awesome fast melodic sections too. Another powerful chorus carries the song forwards here, with some cool guitar harmonies that I can imagine the crowd singing along to live perhaps! 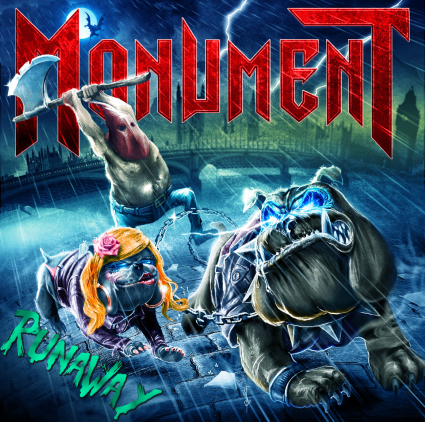 ‘Metalista’ gives us a cool main riff, with a great groove to it, and a great solo that gives way to a great lead line reminiscent of Megadeth’s more melodic output. 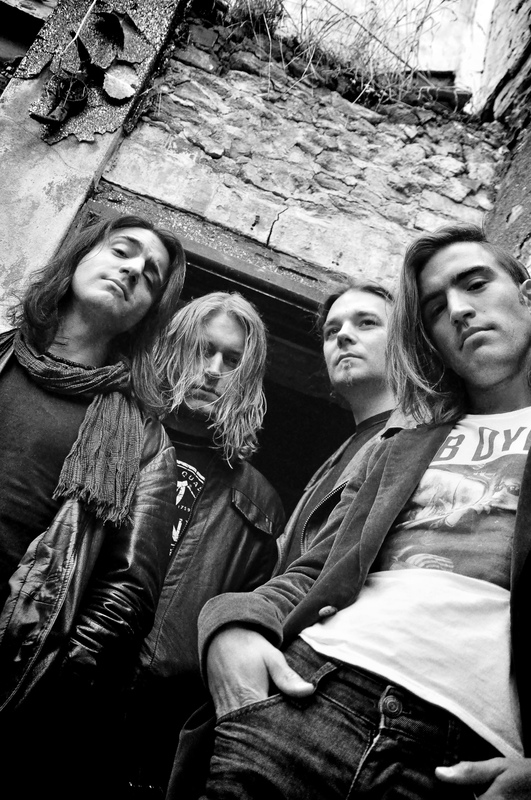 ‘Lost Lovers Unite’ starts off with nice clean guitars and an almost militaristic drumbeat, before opening up into an Iron Maiden style ballad, like something from their earlier years, that then gives way to heavier chords, whilst the vocalist is very able to keep up with the variety of styles on display in this song. This is a nice dynamic song with lots going on and lots of changes to keep listeners on their toes, with a great tight rhythm backing from the drums and bass. ‘The Lost Kingdom’ opens up with a nice technically minded riff, with some cool synth backing. This instrumental song is quite a bit different and quite short at just over 2 minutes long. ‘Infernal Paradise’ introduces us to some cool modern riffing and drumming that makes for a cool song, whilst ‘Curse Of The Father, Sins Of The Son’ blends old and new to present something that really works, with heavy chugging sections meeting power chord riffs reminiscent of the 80s. 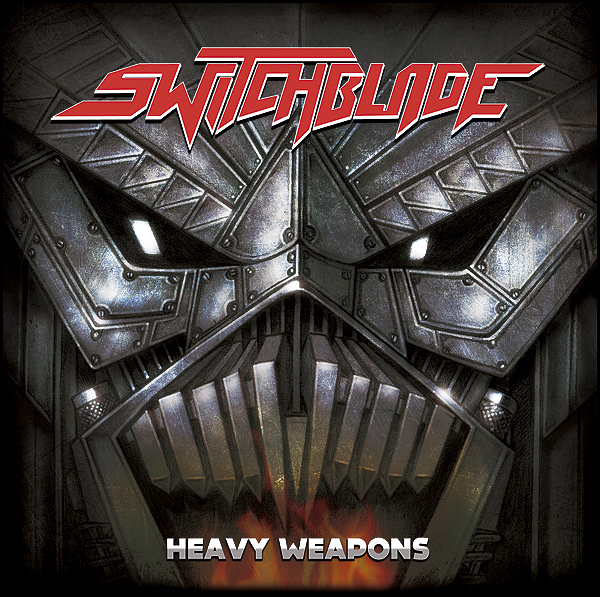 ‘Into The Unknown’ is a heavy tune with a great movement to it, with lots of nice Sabbath-esque basslines and more chugging riffs to solidify Switchblade’s style, and a great harmonised lead guitar line with lots of technical skill to it. To finish, ‘Endless War’ is one of the more upbeat tracks on the album, almost bordering on a power metal sound and lyrical style. Lots of staccato riffs power the track along with plenty of double bass drumming and a mighty chorus to finish off a strong debut album. The production on this album is pretty good, everything is well recorded and audible, and it all sounds pretty heavy, more than suitable for a debut album! Overall a very strong debut album, as you’d expect from a band with this amount of history to it already! What I like about it is the mix of old and new that keeps things fresh throughout, and this approach is really working for a lot of bands right now! Here’s hoping ‘Heavy Weapons’ sets the band in good stead for the future! 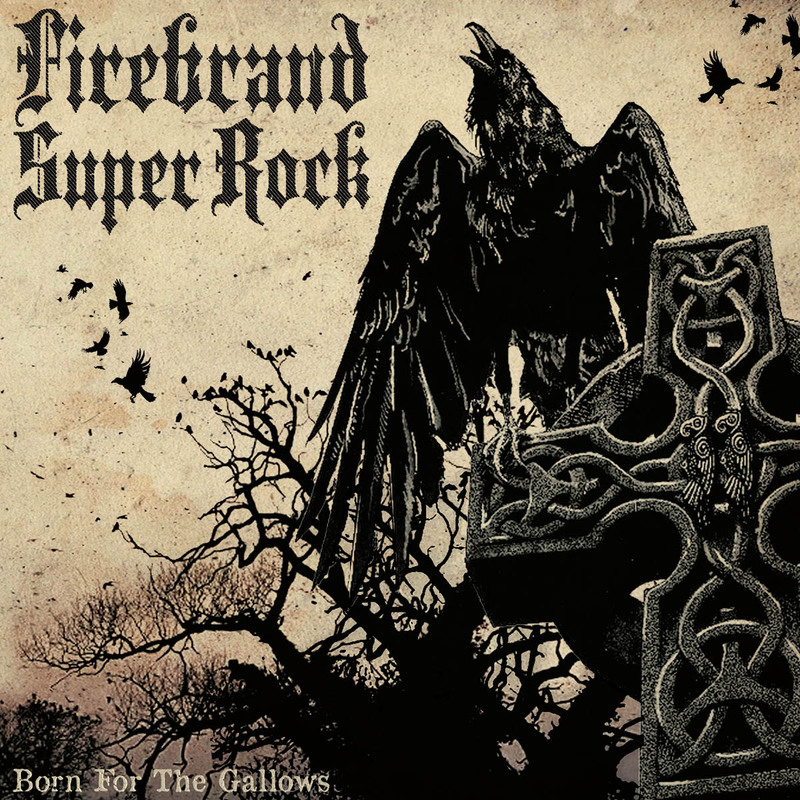 Firebrand Super Rock, Heavy Metal band from Edinburgh. 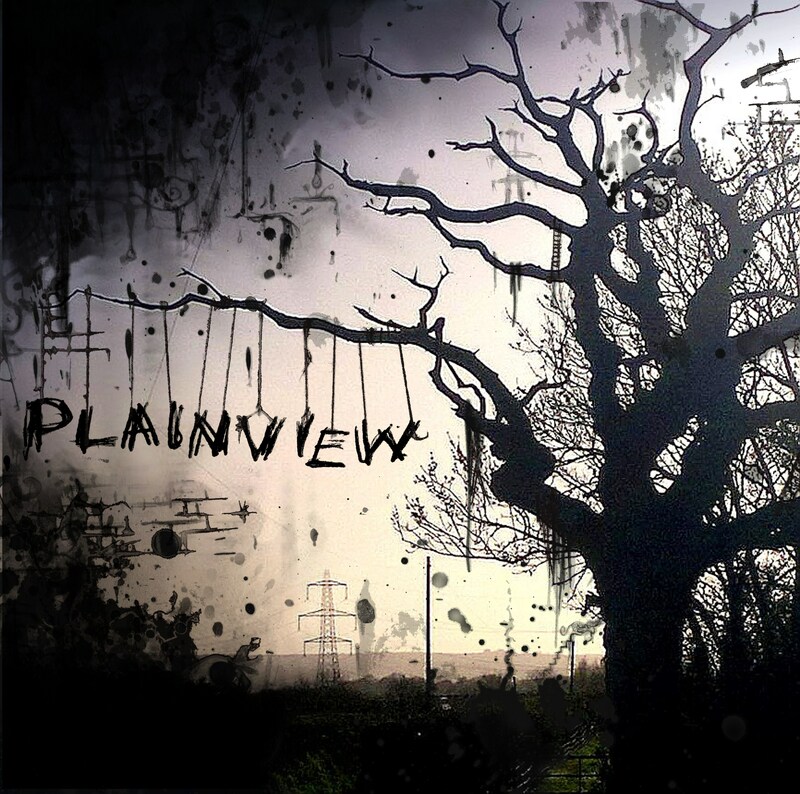 With an already impressive list of achievements such as supporting Slayer and Mastodon to playing at Bloodstock Open Air, the band is on the verge of release of a second album, entitled Born For The Gallows. Smashing in with ‘Sentinel Hill’ a track full of crushing guitarss and a powerful lead vocal from Laura Donelly, which very much suits this heavier style of music without devolving into screaming riffs as some may be tempted to do. The track has a lot to offer from the word go, with heavy riffage and lots of variety that will keep the listener interested throughout. ‘Beyond The Final Gate’ boasts a really strong vocal performance, displaying lots of range with soaring highs and immense lows, especially for a female singer, a really unique performer here. The song itself overall is very fast paced with lots of speed metal style drumming powering the track forwards. Lots of winding riffs only add to the affair as a whole. ‘Lost At Sea’ opens up with a nice atmospheric build up into a grooving riff that will get heads banging, with lots of chugging guitars leading the way here. ‘Re-Animator’ starts off with a cool drum fill that gives way to an immense lead guitar riff with lots of technicality on show. This is a very speedy song with a bit of a higher vocal register approach that they pull off really way, showing that the band has a diversity not often seen in the genre. ‘Shadow of the Witch’ is another highlight of the album, with epic riffage aplenty and a nice grooving main riff. The band really comes together on this one, with an almost Grand Magus approach to the songwriting, with lots of catchy riffs and a really good chorus, that should make this a staple of live sets. ‘Addict’ starts off with a bassline that sets the song in motion with guitars and drums building upon this as the song moves on. 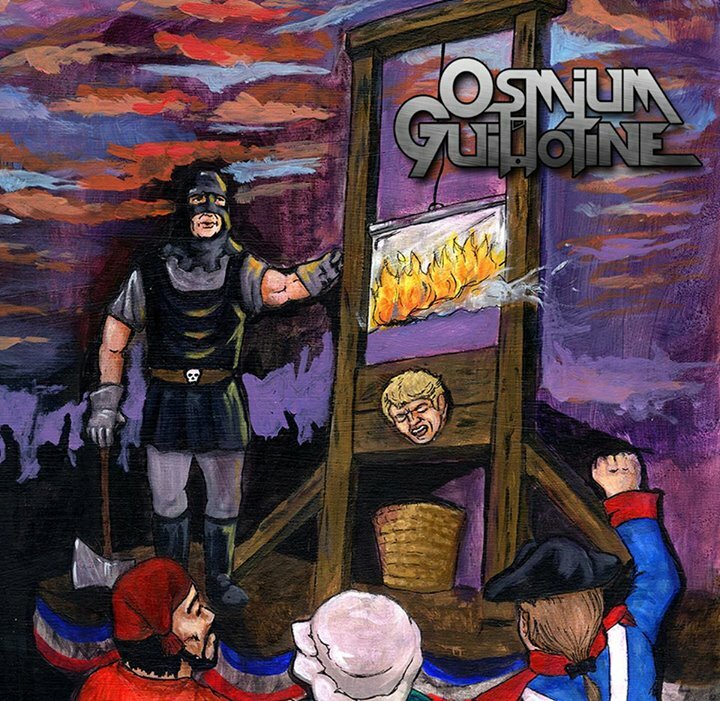 This song is very much old school doom metal with lots of evil sounding guitar riffs and a heavy groove, and lots of melancholic sounding riffs. ‘BFOF’ is an instrumental that gives us lots of heavy guitars bordering on an almost thrash metal sound, with lots of staccato riffs and furious drumming, with a very driving sound to it. ‘Discordia’ is a very bluesy sounding track with lots of solos and great riffs overall, with some awesome vocal harmonies to top it all off. ‘Descent Into Madness’ brings the speed back into play with lots of really heavy riffs and technical lead guitars, with a powerful sounding rhythm section that really supports the songwriting. ‘When Worlds Collide’ brings things to a close in a great way, with eerie sounding clean guitars layered over with a kind of ‘radio voice’ effect on the vocals; this gives way to some really nice heavy riffs with lots of changes and great playing all round, and the song features probably my favourite solo on the album, with a very melodic feel to the playing. The production on the album is fantastic, guitars sound heavy with just the right amount of muddiness without compromising quality. The Drums are well mixed and sound nice and strong, the bass is very growly and supports the mix greatly. The vocals have been recorded really well and top off the production with lots of nice effects without overdoing it. This is a great album from an already promising band, featuring strong songwriting, powerful riffs, a tight rhythm section and great vocals! A band to check out in the future for sure!